Galway has the third highest rate of drowning in Ireland after Cork and Dublin. Following an online petition, which gathered 20,000 signatures, demanding increased action to address river deaths, the Galway West Social Democrats are calling for the establishment of a broad based committee to draw up a long term plan to tackle this problem. The party has contacted the nine Galway TDs, as well as several Ministers of State, to establish a committee to work with the new Galway City Council, after it is elected in May, to form an "evidence-based proposal" that would underpin a new plan to be rolled out over the next five years. An average of 140 people a year die by drowning in Ireland. The majority of drowning deaths are male at 79 per cent, and Galway has the third highest rate of drowning in Ireland after Cork and Dublin. The petition is at www.change.org/p/galway-city-council-make-the-river-corrib-safer-let-s-save-some-lives, and calls on the council to introduce safety ropes; safety nets; sensors at bridges; heat sensitive cameras; and better lighting along the river. 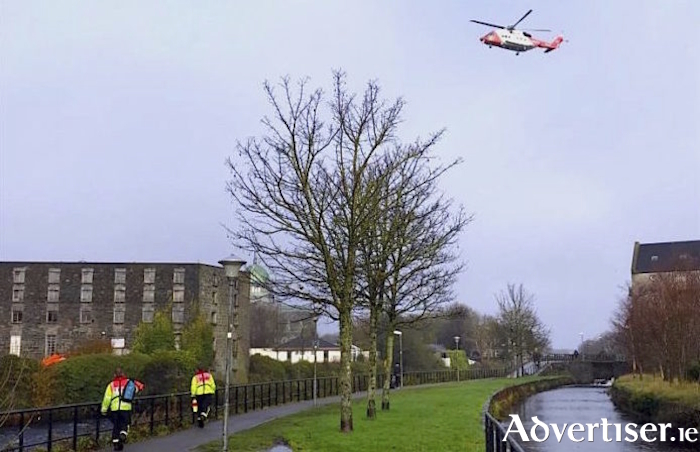 However a spokesperson for the Galway City Council says the issue of river safety is a multi-agency responsibility, involving the city council, the Garda, the fire service, Irish Water Safety, and various bodies with responsibilities for waterways in the city. The spokesperson adds that many of the safety measures being called for are "already in place", that CCTV and the presence of lifebuoys along waterways are installed, and that there is an infra red camera system that alerts the gardaí and rescue services when a water emergency occurs.